This staggering piece of canvas hand painted abstract art piece exhibits a crisp clean open landscape inviting an uplifting mood in the most abstract manner. This canvas painting opposes what standard art is about. 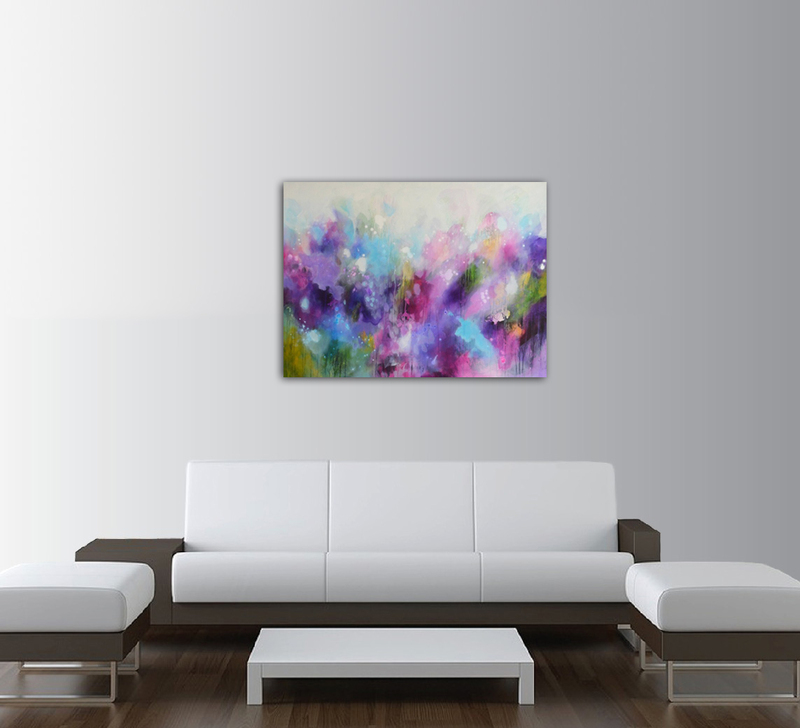 With its polished framed large art size ready to be hung in any office space or room of your home. 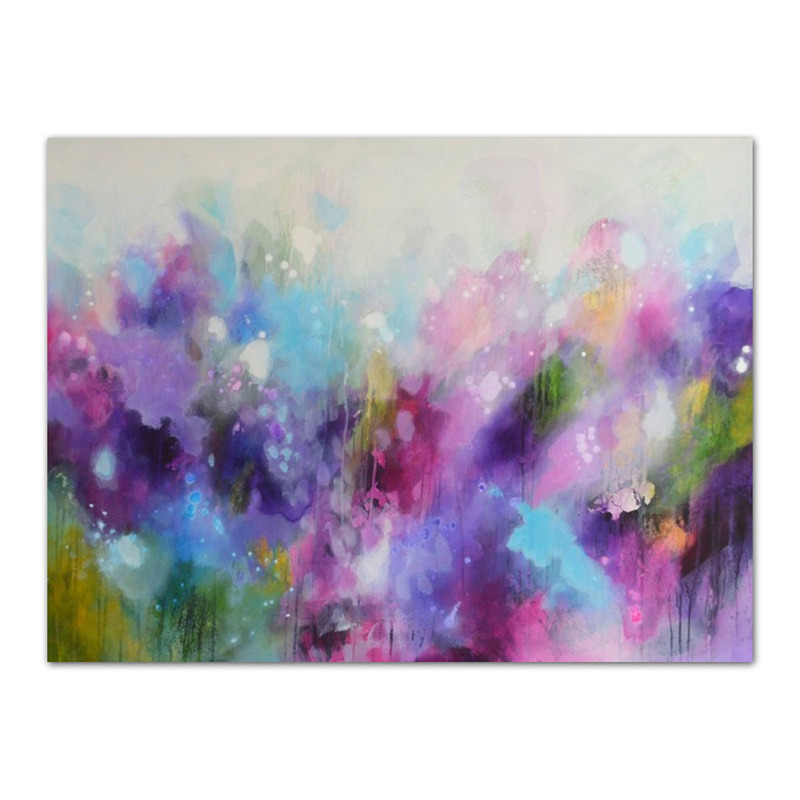 You can appreciate its beauty with heartfelt purples, pink, blue, and green hue splashes. It will give your home a centerpiece for guests to admire and talk about.